Never Ever Prospect Your Starbucks Barista or Bug Your Friends and Family With Your Business Opportunity! Well then, how do I have potential customers find me to find out what it is that I have to offer? 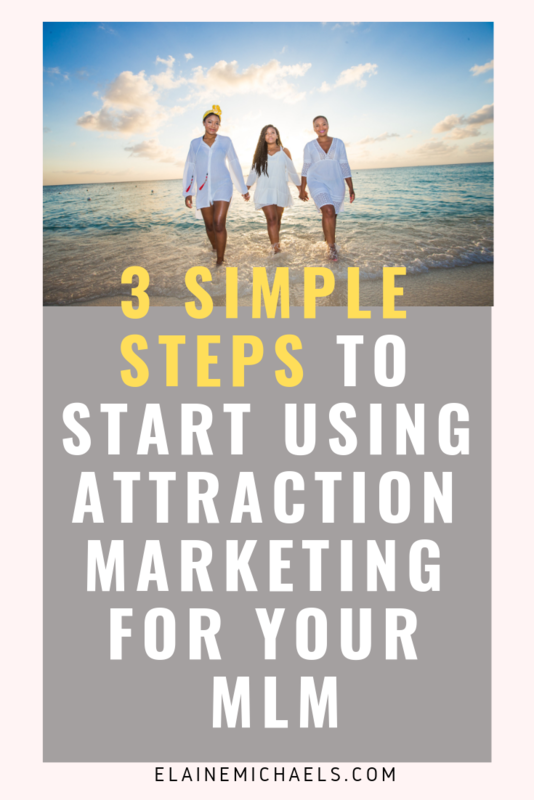 Attraction Marketing – n. Creating a highly valuable environment or entity that draws potential buyers or clients towards you, wanting to know what you have to offer. Yep. That's exactly what I thought when I first came across this concept. To be honest, I was like thinking, why hadn't I been taught this method? It makes so much sense! It's actually Simple Steps, however, the execution is hard. 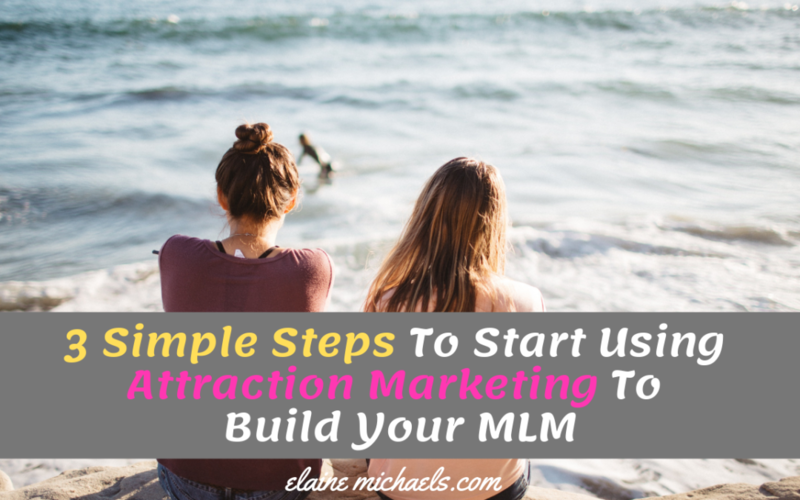 The stone sitting heavily on my heart had been lifted and I felt like I could be in my own skin AND run my business the way I had envisioned. Just to let you know, it doesn't mean it is without work that you can build you business in this way. In fact, I would say it requires a lot more patience and work, but in a different capacity. I was learning and applying simultaneously (which I would highly recommend) so at times I felt as though the process wasn't moving as quickly as I would have liked but it was because I didn't fully understand the concept. What does this mean? I know what you're thinking. I am partnered with a great company, there are great products, AND I have a fantastic business opportunity. Why wouldn't I post the products, blast my company name, and share my business opportunity? The truth is, that isn't true marketing. When you market something of value you share something of benefit to your audience. When you blast products and salesy posts, you are actually hurting the industry and giving it a bad name! Those actions do not add value to your audience, it actually shuns people. Trust me, I know from experience. This step is crucial for any business. You don't have a business if you don't have an audience to speak to! No one is going to go out of their way to find you, you need to put yourself in front of an audience that is interested in what you have to offer. Social Media platforms are great to do this, it allows you to speak to many people at one time and eliminates the 1:1 meeting at a coffee shop or what they call belly to belly approach to building contacts. I never had to do this but I have heard about the 3 foot rule, where you spoke to anyone who was within 3 feet of you. When you have built up an audience that resonates with you, transition them to your list and that way you can keep following up with them in a more personal space and serving them what it is that they need. That's why Building a List is Still So Important. Who are the people that you really want to serve? The more clarity you have about your perfect customer or client, you can better serve them. Once you have built an audience, here's where you generously and consistently give VALUE. How do you do that? Through content that moves, inspires, and teaches others. Training that will transition them to the next level! Encouraging videos or tutorials that solve a problem. Recommendations that train the brain or strengthen the mind. Simple ways to maintain a healthy body for the hard working entrepreneur. Hopefully you've got quite a few ideas now, clarity, and direction. When you consistently give value to your audience, you will see they will return repeatedly for more!! It is just about the highest attractive quality. Become an Insider when you Grab a Copy of My Latest Book! If there is someone who would totally benefit from this article, could you please share it? I thank you from the bottom of my heart. Not getting this type of training from your Upline? It's ok, get the click-by-click ultimate training right here. It was so simple, even a zero-techie, Physical Therapist Mom like me is able to click, watch, and follow.